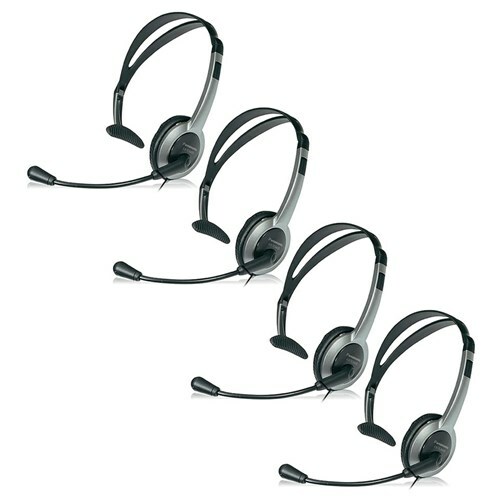 The Panasonic KX-TCA430 headset for VTech phones is designed for use with any cordless phone possessing a standard 2.5 mm jack. This device allows you to talk hands-free while you work. Its boom-style microphone adjusts easily to fit multiple users. The KX-TCA430 is reversible, lightweight, and delivers a comfortable fit that is sure to please any user. The headpiece fits securely around your head and folds down neatly for compact storage. With the lightweight headset you are able to move around with ease. The Panasonic KX-TCA430 - 4 Pack For VTech Phones has many exciting features for users of all types. It's one of FactoryOutletStore's best selling . You can extend the lifetime of your Panasonic KX-TCA430 - 4 Pack For VTech Phones with the purchase of a FactoryOutletStore Factory Protection Plan. 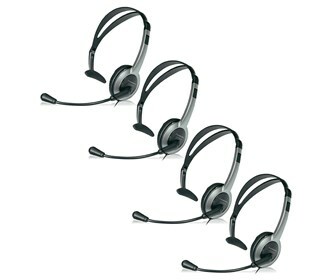 See the Panasonic KX-TCA430 - 4 Pack For VTech Phones gallery images above for more product views. The Panasonic KX-TCA430 - 4 Pack For VTech Phones is sold as a Brand New Unopened Item.